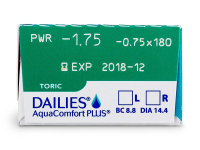 Dailies AquaComfort Plus Toric lenses are daily disposable lenses for people who suffer from astigmatism. They offer triple hydration, clear vision, and refreshing comfort throughout the day. This package contains 30 lenses. DAILIES AquaComfort Plus Toric are daily toric lenses by Alcon designed to correct astigmatism. 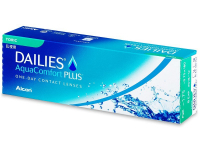 They offer triple hydration, crisp, clear vision, and refreshing comfort throughout the day. This package contains 30 lenses. 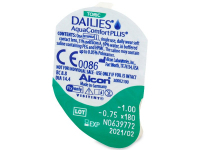 We also offer DAILIES AquaComfort Plus Toric contact lenses in a box of 90 lenses. 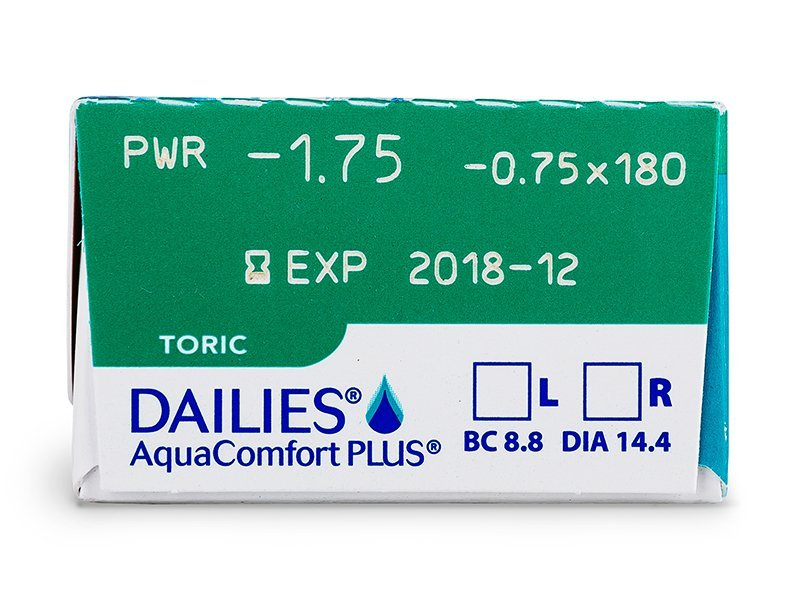 DAILIES AquaComfort Plus Toric are equipped with triple hydration technology that keeps the contact lenses comfortable and hydrated throughout the day. The first component is the lubricant known as HPMC, which is already present in the solution tray where the contact lens is stored during the production process. The second component is a combination of two compounds – PEG (polyethylene glycol) and PVA (Polyvinyl alcohol) – both of which are embedded in the lens material and are released throughout the day with each blink. Did you know: The average person blinks 11,000 times a day! It's always handy to have these lenses as I wear glasses mostly. Bought these online as they are a lot of cheaper and it's always good to have a spare box. These lenses really relaxed my dry eyes. Very impressed. Very light and comfy lenses.